Collaboration with Siobhan Davies Dance. 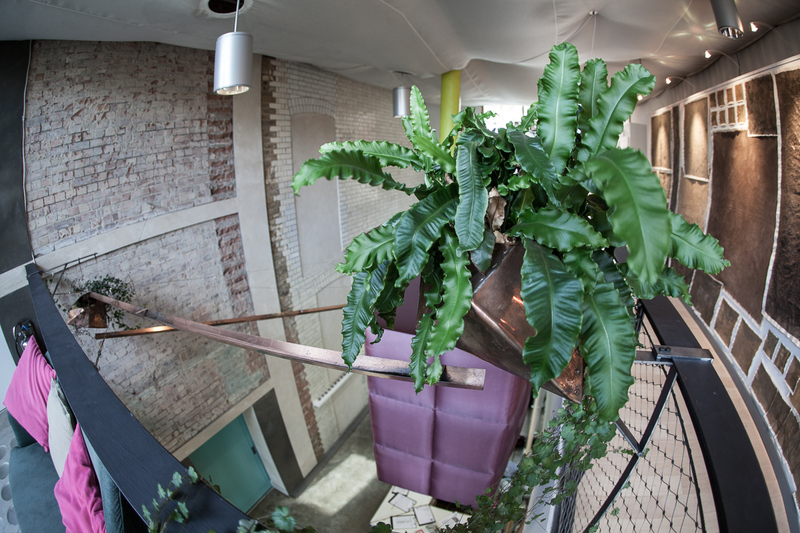 The installation entitled 'As above, so below' features a suspended landscape, utilising a water cycle to sustain plant life, exploring the novel creative possibilities of growing plants indoors. Drawing moisture from the air, the work transforms the environment's atmosphere into water, to establish and feed a self dependent ecosystem. The design utilises a series of planters interconnected by rills suspended within the airspace of the building's atrium. The planters, filled with soil and planted with various forms of ferns, mosses, lichen and toadflax, are inspired by the multifaceted and asymmetric forms of pomegranates. The water collected by a dehumidifier on the first floor is fed to the plants via the rills, with the excess traveling down to a collection bowl at ground level, from which the water evaporates, to create a sustaining feedback cycle. 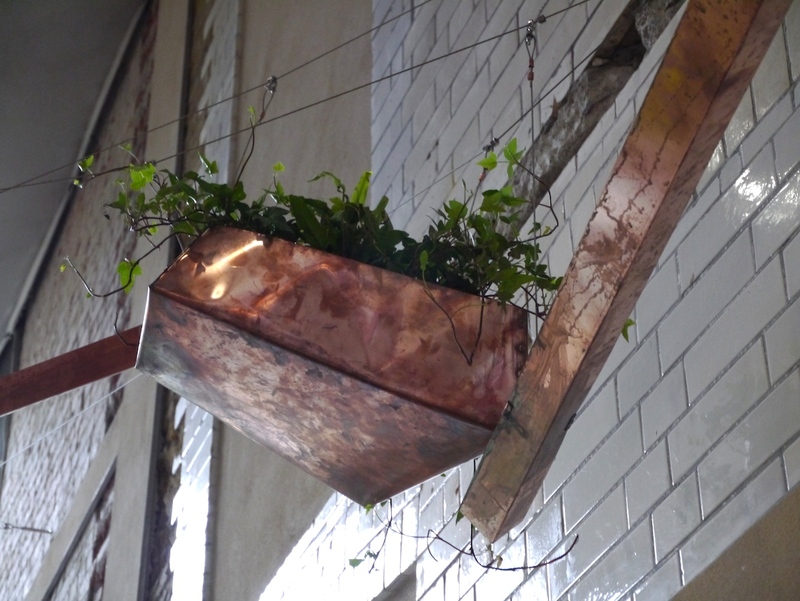 The planters, rills and bowl are all hand formed by Lobb from copper sheeting. 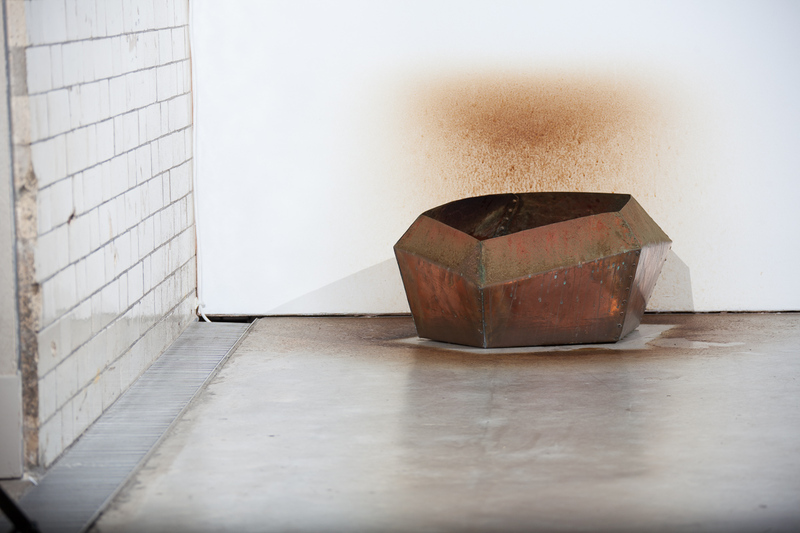 The material was chosen for its properties of transformation, which will see it gradually dull from its initial state to verdigris, over the exhibition's duration. 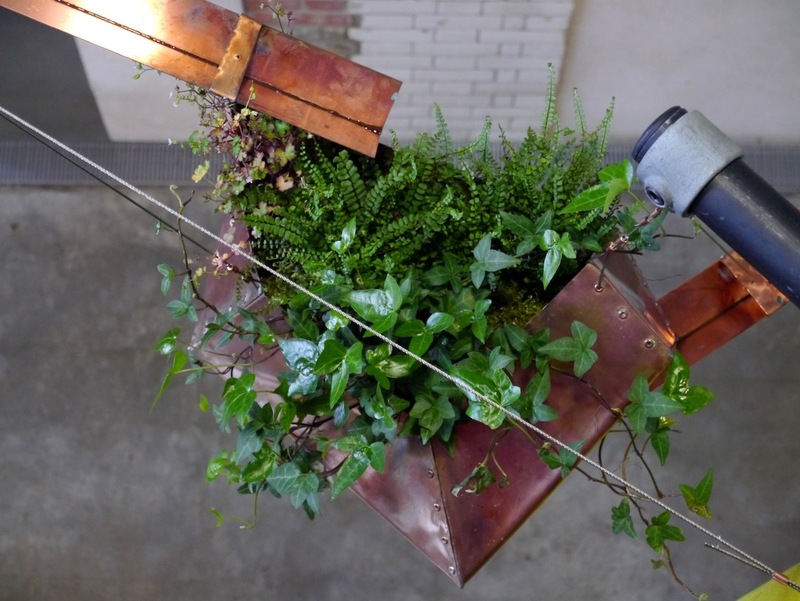 The work also explores the beneficial horticultural properties of copper, as espoused by the theories of Austrian naturalist Viktor Schauberger, whose dictum “Observe and copy nature”, neatly surmises the thinking behind the installation. 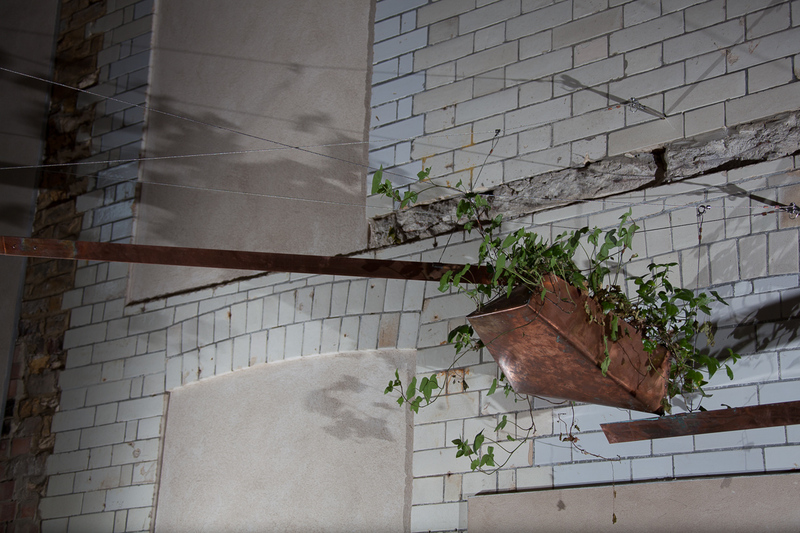 Whilst the installation depends on processing the breath and moisture from the building's inhabitants and visitors, the plants will be left to fend for themselves, transforming through states of establishment, growth and decay, across a period of four months. To accompany the installation Lobb has also created an edible vertical garden, on the rear windowed interior facade of the building, featuring myriad plants potted by pupils from the neighboring Charlotte Sharman Primary School. As opposed to the self-reliant 'As above, so below' installation, this work requires staff and visitors to constantly interact with it to provide ample care in order for it to endure, creating a symbiotic link between human cultivation and the edible produce which results.